A contingent of Orthodox Jewish Rabbis and laymen will stand in solidarity with the Palestinian people, to protest the Zionist zealots - extreme right wing supposed “Orthodox Jews” - who are threatening to gather en-masse on the Temple mount to attack the Al-Aqsa mosque. Rabbi Yisroel Dovid Weiss, a spokesman for Neturei Karta International, a group of anti-Zionist Orthodox Jews, stated that “the Rabbis will voice the true Jewish ideology, that such an action is totally forbidden according to the Torah and that in general, the Zionist ideology and the State of “Israel” can not and does not represent Judaism or the Jewish people”. 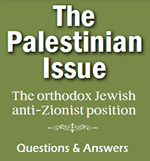 He further stated, that “the Zionist zealots have attempted on many occasions to incite hatred between Jews and Arabs. 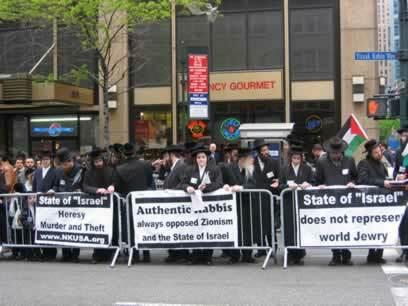 These zealots are an ugly embodiment of Zionism, a movement rooted in insensitivity to others and predicated upon rebellion against the Creator”. 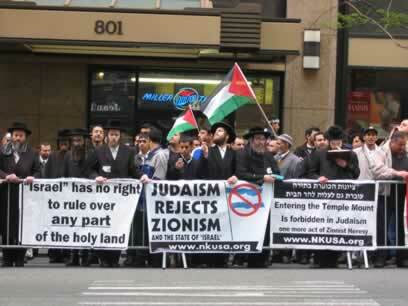 “Judaism demands that the Jewish people live in peace and respect towards all people, regardless of their nationality. 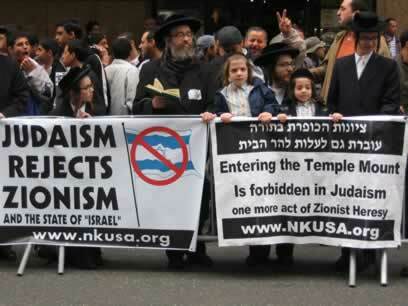 The history of the State of “Israel” is testimony to Zionism’s rejection of these Torah axioms. 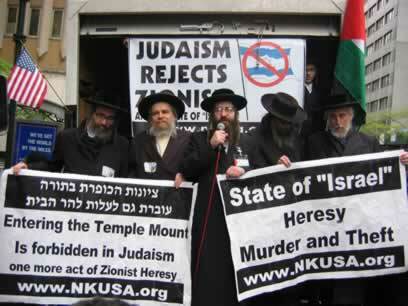 It is high time that world Jewry abandoned the heresy of Zionism and its path of bloodshed”. “The Jewish people were sent into exile through a Divine decree. The attempt at revoking this state of exile by establishing a sovereign so-called Jewish state was and still remains in direct conflict with sacred Jewish Law and is a demonstration of defiance of G-d. The State of “Israel” is a forbidden fruit”. “Compounding this transgression is the constant trampling on the rights of the Palestinians. Only through the complete dismantlement of the State of “Israel” and the reinstatement of Palestinian sovereignty over the Holy Land in its entirety can true peace be achieved. We pray, through peaceful means”. “Torah doctrine teaches that defiance of G-d cannot be successful. It follows that no real peace will eventuate as long as this forbidden fruit, a blatant rebellion against G-d, continues to exist”. 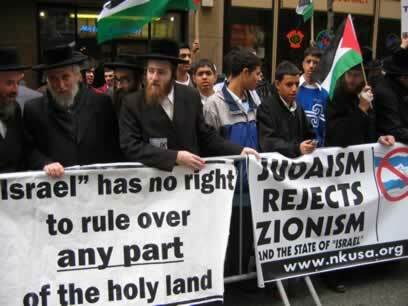 “Traditional Jews have always opposed Zionism and the State of “Israel”. The unfortunate events of today have only served to show to the world the righteousness of this position”.